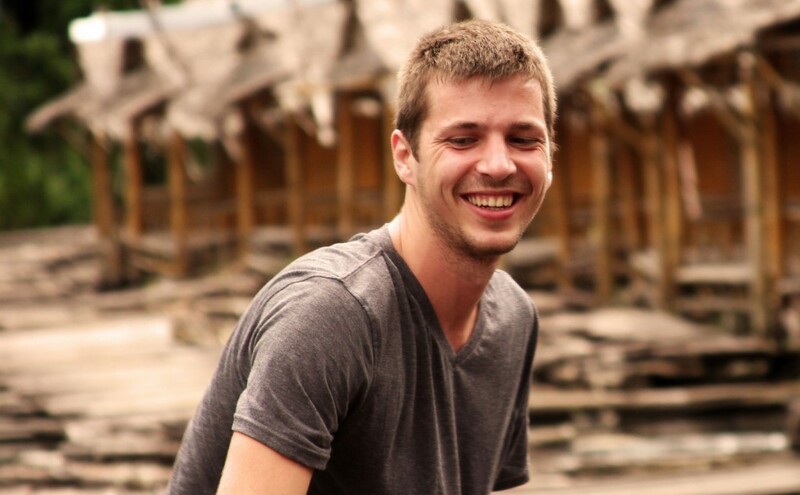 Our Bamboo Bliss tours are the least expensive private tours that we offer! 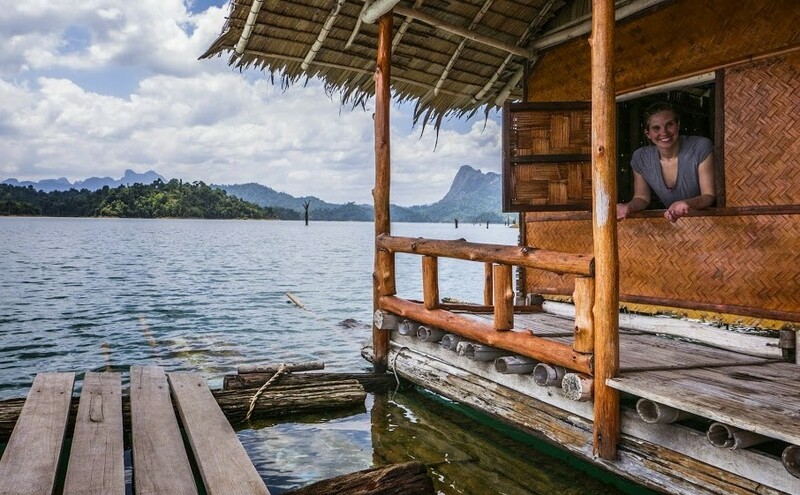 The main difference between the Bamboo Bungalow Bungalow Bliss private tour and a Group Safari is that you will have your own private boat and private guide. 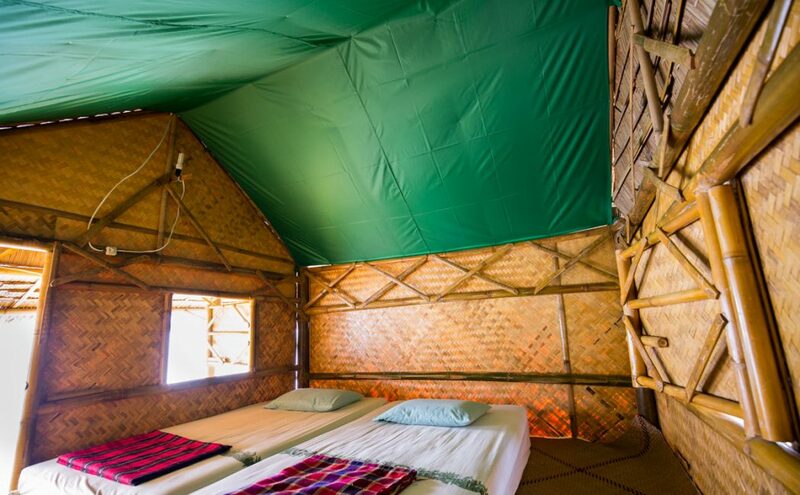 Please note, the bamboo bungalows are very basic, we like to say it's like camping... in the most beautiful campsite you could imagine! 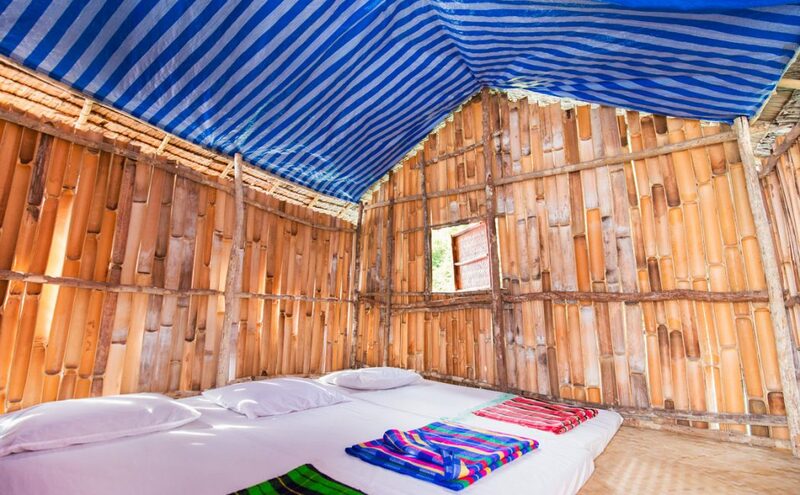 Bamboo Bliss Bungalows on Khao Sok Lake have basic amenities like a mattress, pillow and sheets (we recommend that you bring your own towel), with shared bathrooms nearby on the land. The raft houses provide electricity for a few hours each day in the evening (usually 6 PM - 10 PM) for recharging. Please note that the raft houses do not have phone signal or wifi. • Experience the "Real Thailand"! Go on a jungle hike where your guide will help you to spot Khao Sok wildlife and plant species. These tours typically visit the viewpoint or Bang Hoi waterfall. 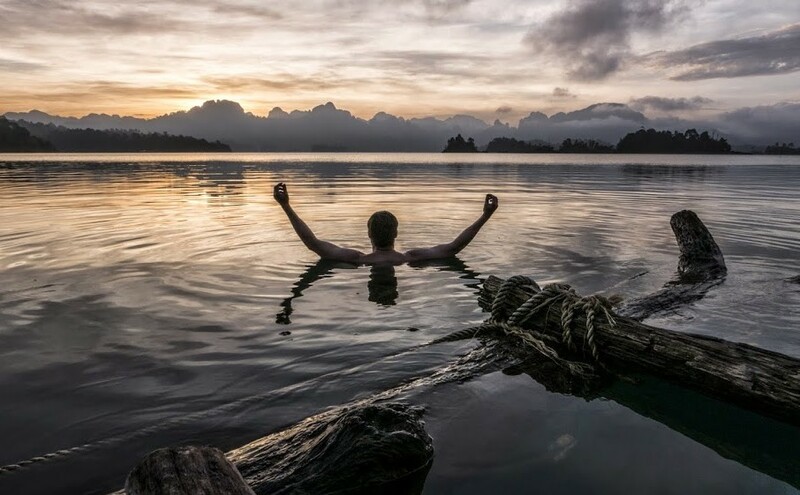 Free time for swimming, kayaking, reading, etc. Go on a jungle hike where your guide will help you to spot Khao Sok wildlife and plant species. 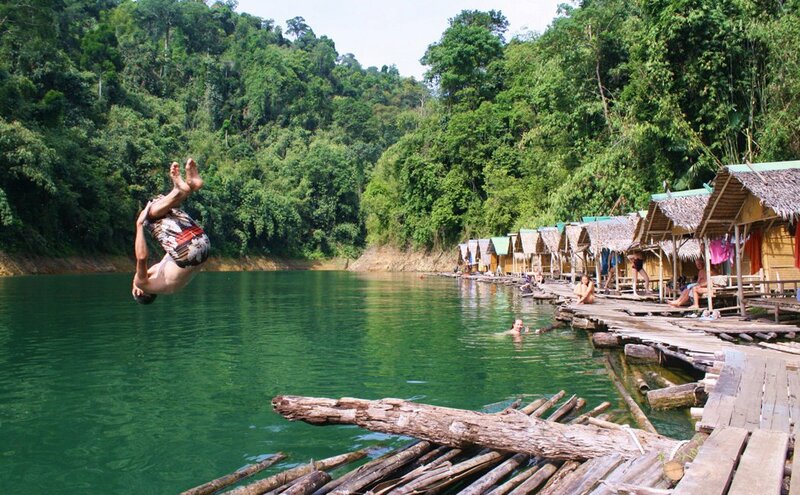 This shorter trip will sometimes visit Bang Hoi Waterfall, diamond cave or one of the nature trails on the lake. Today’s hike will be the more difficult of the two, usually lasting 3-4 hours. Your guide will use this opportunity to show you what it's like in the world's oldest forest.